My dream about having special , high level design study place in Riga seems to be fulfilled. Congratulations to https://instagram.com/p/5E3XWbmSGI/ ‪#‎RTU‬ & Latvian design scene, finally we got some university, where design projects will be done thru research, education & prototyping – in this place students will know the truth of design: wake up! – not the “only” good (or for God sake artistic) looking thing is a core base under this word, but economic & ergonomic balance is the key! 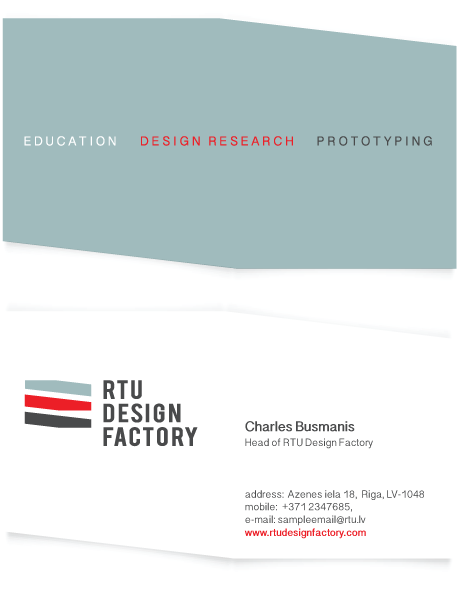 Head of RTU DESIGN factory asked me for a logo initially & i came up with smth not just simple, robust, a bit masculine & technical, but also with a thought about STEPS or LAYERS as an idea.